BOAZ is the Yacht and programme brainchild of Keith Wetmore. 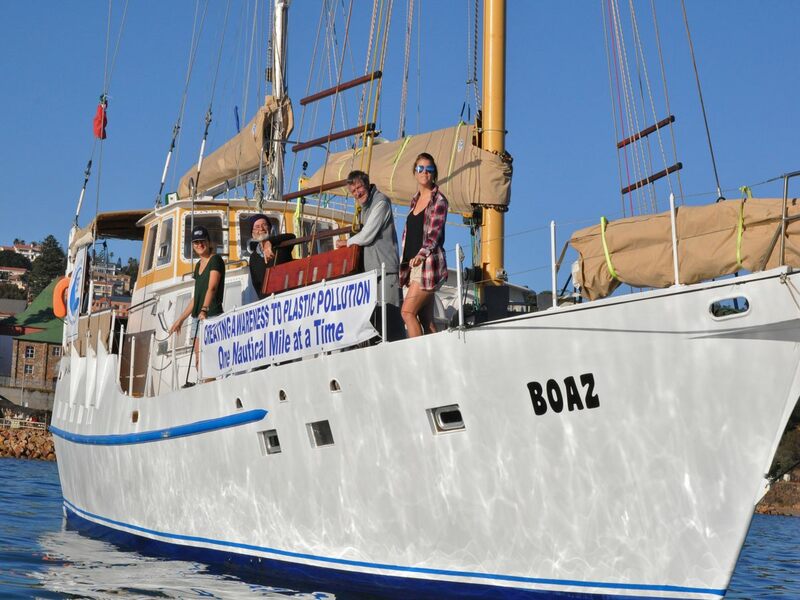 Promoting the objectives of Sustainable Seas Trust, by creating awareness through education and youth programmes highlighting the impact of plastic pollution on the oceans health and sustainability. To conduct scientific research into the health of the Western Indian Ocean by means of an annual voyage from South Africa to Madagascar and nearby islands, and return. To build a ‘bridge across the ocean’ connecting the youth of South Africa to Madagascar, andSurrounding islands. Furthermore our aim is to raise awareness bypromoting responsible usage of plastic to consumers and the general public alike, fostering the importance of accountability and the impact that every individual has on the Health of our Oceans. Our oceans are under siege by an overwhelming epidemic of plastic pollution. Through education, science and expeditions up the east coast of Africa and South Africa we are working to stem the tide of plastic entering the ocean, before it is too late. We endeavour to educate school students and consumers aliketo become responsible users of plastic so they can make informed decisions about how and when they use plastic and the impact it has on our oceans. We use over 300 million tonnes of new plastic every year, half of which we use only once. Eight million tons of plastic waste ends up in the ocean every year. Over 700 species of marine life are known to suffer directly from the devastating effects of plastic pollution. Sea birds and mammals consume plastic, and an increasing number starve when their stomachs are full of plastic waste. Studies reveal an alarming fifty two percent of sea turtles worldwide have ingested plastic debris. Become informed, get involved and become marine waste aware!